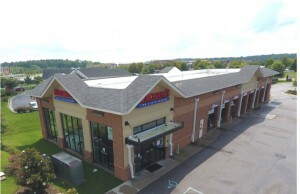 RealEstateRama AMERICAN REALTY ADVISORS ACQUIRES CLASS A INDUSTRIAL PORTFOLIO IN METRO WASHINGTON D.C.
AMERICAN REALTY ADVISORS ACQUIRES CLASS A INDUSTRIAL PORTFOLIO IN METRO WASHINGTON D.C.
CHANTILLY AND STERLING, VA. – June 17, 2015 – (RealEstateRama) — American Realty Advisors, an institutional real estate investment manager with nearly $7 billion in assets under management, has acquired a 100 percent-leased Class A industrial portfolio totaling 453,883 square feet in Virginia. The portfolio consists of two industrial buildings located within master-planned business parks in close proximity to the Dulles International Airport and Washington D.C.’s major roadways, according to Eric Cannon, Senior Director, Investment Group at American Realty Advisors. “This region is experiencing strong positive net absorption, low vacancy, and continued rent growth, which is consistent with American’s research-driven investment strategy to source and acquire functional in-fill, multi-tenant industrial in well-located supply-constrained markets,” says Cannon. “In addition to the strength of the location, the contractual in-place rents are currently below-market, providing the opportunity for American to grow long-term cash flow and cash-on-cash returns for investors,” Cannon explains. The buildings are occupied by Unicom Government, Synnex Corporation, Cosmos Granite & Marble, U.S. Postal Service, FSA Network, and JAS Forwarding, among other tenants. Cannon notes that continued affluent population growth of the surrounding neighborhoods and the lagged recovery of the Washington D.C. metro economy are also likely to have a significant impact on long-term asset value. “Supply available for traditional warehouse users has dwindled in recent years due to robust demand from data storage users due to the global growth of mobile and Internet-related digital content. In addition, the growing importance of e-commerce and same-day shipping to the local affluent population will drive demand,” Cannon adds. American Realty Advisors plans to implement a series of improvements to the properties that will increase the portfolio’s overall physical condition and curb appeal to maintain a high level of occupancy. “Through our strategic and aggressive asset management process, American will be able to realize increasing cash flow over time and deliver predictable current yields to its investors over a long-term hold period,” says Cannon. The two-property industrial portfolio is located at 3900 Stonecroft Boulevard in Chantilly, VA, and 45110 Ocean Court, in Sterling, VA. The seller, an institutional investment management firm, was represented by James Cassidy of DTZ’s Washington D.C. office. With nearly $7 billion in assets under management, American Realty Advisors is an investment manager to institutional investors, and has provided real estate investment management services for over 26 years utilizing core and value-added commingled funds and separate accounts. American acquires assets directly or provides equity, preferred equity, mezzanine debt, debt and hybrid debt to primary investors and developers operating throughout the United States for office, industrial, multi-family, and retail properties. More information regarding American can be found at www.americanreal.com.